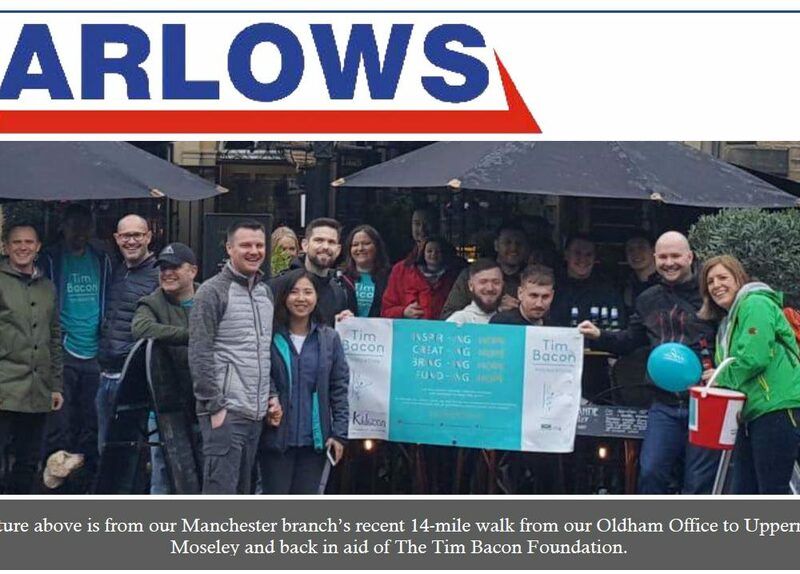 Barlows were pleased to be able to sponsor the Malpas Alport Primary School Fire Safety Guides again. The Fire Safety training is ran for their Year 5 children, it’s an honour to be able to help fund such an important training scheme which could end up saving lives in the future. 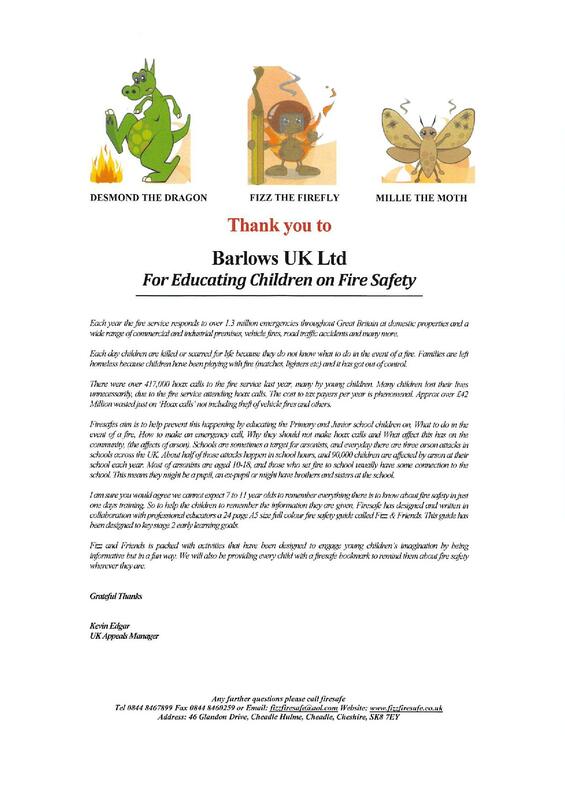 Our funding meant the Primary School we able to bring in FireSafe and their fire safety guide called Fizz & Friends. “Each year the fire service responds to over 1.3 million emergencies throughout Great Britain at domestic properties and a wide range of commercial and industrial premises, vehicle fires, road traffic accidents and many more. Each day children are killed or scarred for life because they do not know what to do in the event of a fire. Families are left homeless because children have been playing with fire (matches, lighters etc…) and it has got out of control. There were over 417,000 hoax calls to the fire service last year, many by young children. Many children lost their lives unnecessarily, due to the fire service attending hoax calls. The cost to the tax payers per year is phenomenal. Approx over £42 Million wasted just on ‘Hoax calls’ not including theft of vehicle fires and others. Firesafes aim is to help prevent this happening by educating the Primary and Junior School children on, What to do in the event of a fire, How to make an emergency call, Why they should not make hoax calls and What affect this has on the community, (the affects of arson). Schools are sometimes a target for arsonists, and everyday there are three arson attacks in schools across the UK. About half of those attacks happen in school hours, and 900,000 children are affected by arson at their school each year. Most arsonists are aged 10-18, and those who set fire to school usually have some connection to the school. This means they might be a pupil, an ex-pupil or might have brothers and sisters at the school.